Vermont Harvest provides its customers with an extensive assortment of homemade fruit conserves and preserves for sale made from the finest apples, strawberries and raspberries. Made with only the finest and freshest ingredients, Vermont Harvest’s conserves and preserves are sure to enhance and brighten any dish or snack. A leader name in gourmet condiments, Vermont Harvest has been expertly crafting homemade jams, conserves and chutneys since 1983. Their sweet-tasting conserves are $6 each and are available in 8.3-ounce jars. The Apple Rum Walnut conserve is also available in a 1.3-ounce jar for $1.50. Conserves can be perfectly paired with breakfast items, such as toast and English muffins, or they work great as an ice cream topping. Vermont Harvest values its customers and satisfaction is guaranteed with every batch they make. Their small batches don’t include any additives or preservatives and are packaged to maximize the excellent taste and flavor of their homemade products. 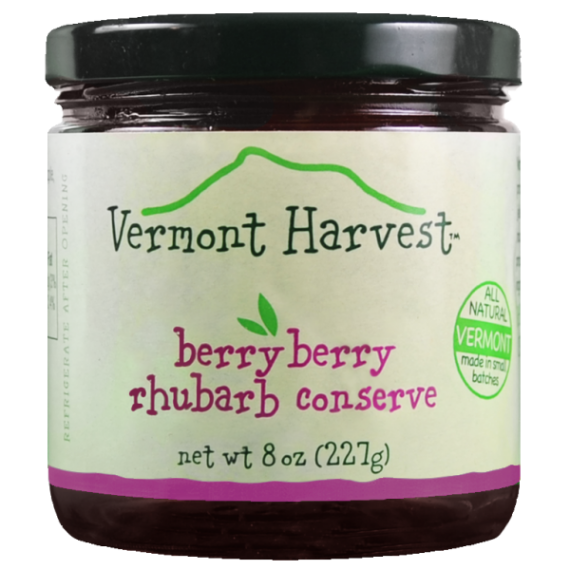 Browse through their great selection of homemade fruit conserves below and find the perfect Vermont Harvest flavor for you!